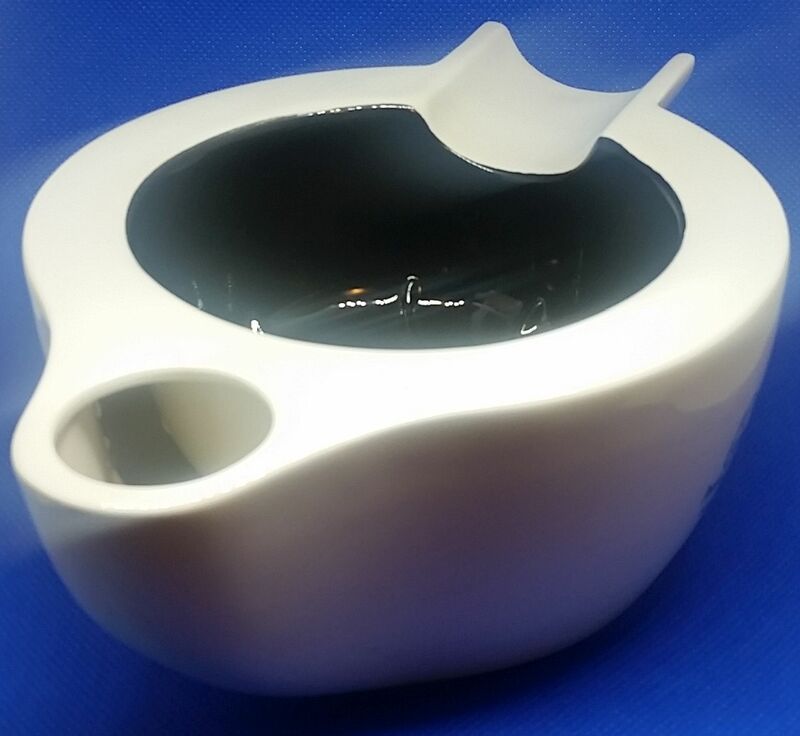 I have been lucky enough to receive a prototype scuttle from Pereira Shavery, and I must say I'm very happy with the design and functionality of it. 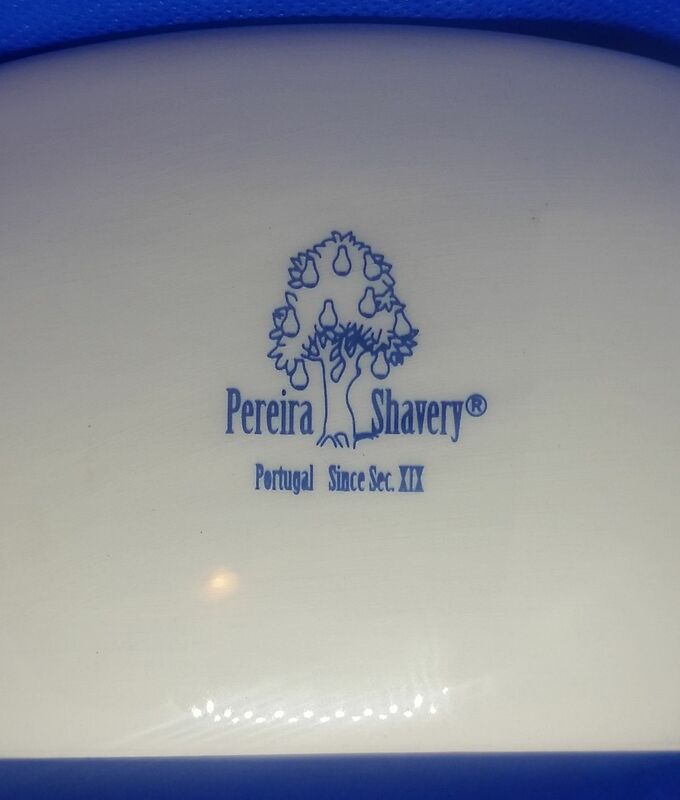 The design of the bowl takes keys from the ceramic shaving bowl and soap dish Pereira have been selling for a while now. White, with a black interior, and the pear tree Pereira Shavery logo in blue on either side. A very pleasing colour scheme to my eyes, and one I believe will look at home in every bathroom. 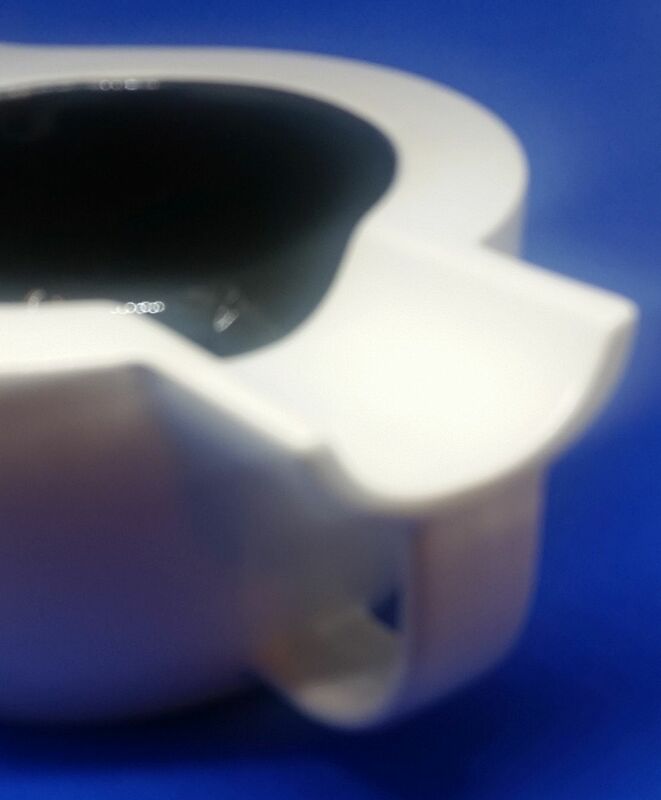 The bowl part of the scuttle is very close to the size of the ceramic shaving bowl at 10 cm (4") across and 5 cm (2") deep, while the scuttle as a whole is 14 cm (5½") wide, 20 cm long (8") and 7 cm (2¾") tall. While large, it is still comfortable to hold due to the finger loop which I slip my left thumb through while my palm fits under the base of the scuttle. The inside of the bowl have a raised pattern of ridges and bumps, aiding greatly in the rapid building of thick luxurious lather. The design reminds me of water turbines and the intake of jet engines... while I realise not everyone will see the same thing in the pattern, it endears me to the bowl even further. As with Pereira's other bowls, this have a built in brush rest - a very nice and useful addition to any lathering bowl or scuttle. 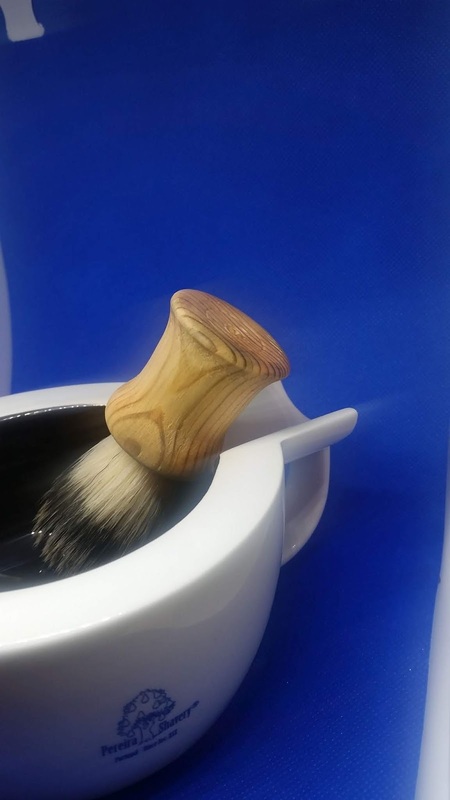 It means your brush have a place to stay while shaving, rather than having it sit on the counter-top or fall into the sink. 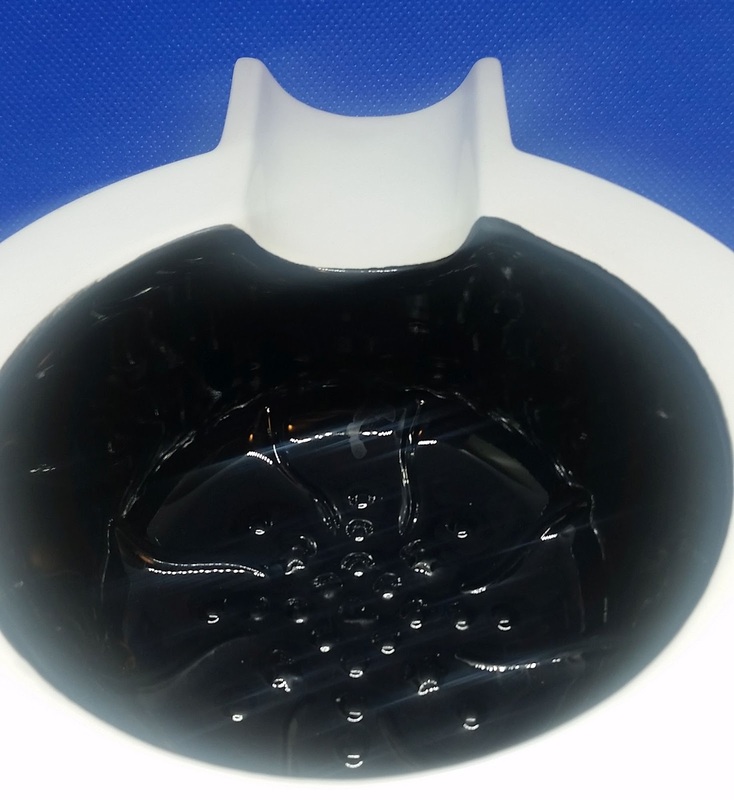 It also gives a place to rest the brush handle against while soaking, rather than sliding around. This is a detail I find very handy, since both my largest and smallest brushes can rests comfortable and safely. Water capacity is a generous 350 ml (0.35 litre, 1½ cups / 12 fl oz) if you fill it completely, or around 300 ml (0.30 litre, 1¼ cups / 10 fl oz) if you leave an air gap on top. This is more than enough to keep your lather warm, even if you for some bizarre reason decide to shave outside in the middle of a Norwegian winter... not that I would ever want to try that myself. 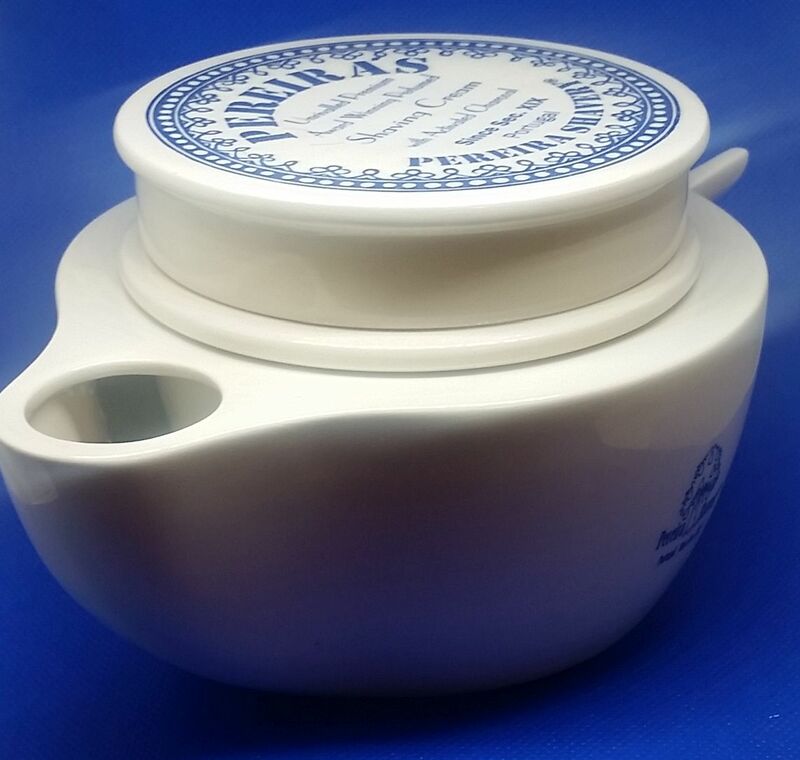 As an added bonus that aids both display and storage, I've noticed that the ceramic soap dish from Pereira - the one you can buy with their fantastic soap - fits rather nicely in the scuttle. I'm not sure what these will sell for or when they will be available, but if you're in the marked for a scuttle that looks good and which will keep your lather warm in any temperature you should keep an eye out at Pereira Shavery - or even sign up for their newsletter.